Universal:Easily adjustable for different thickness and width material. Practical and economical with simple mechanism. Easy maintenance with little error. 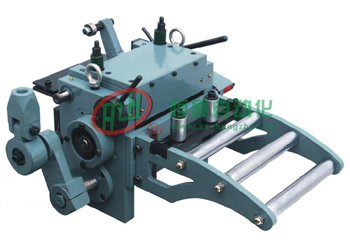 Single Type:for cutting stock at certain length or coiling back the finished products. Double Type: for there is any stuff left after stamping,and for short or thin stock. 0.05mm and would be as accurate as 0.01 mm by pilot.Pin with automatic positioning system. The gear is hardened to HRC60 o and ground to the best transmission accuracy. 1、One Direction clutch Made of tungsten carbide steel on the contacting surface to keep rigidity,precision and durability. 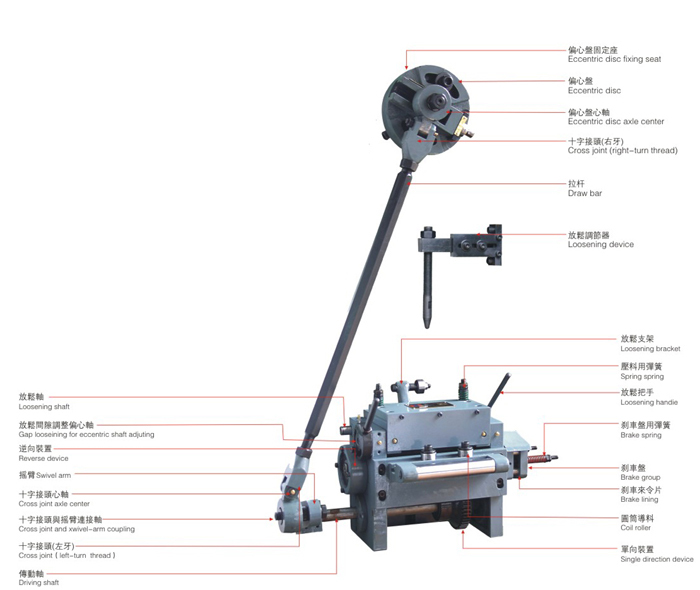 High feed accuracy at exact positioning with hollow roller of less weight,and lower inertia. Apply the advanced brake lining to have accuracy,durability,and rigidity. in long time using.It is stable and precise. and transfer distance will be imprecise. It will not cause high heat. Durable with super hard carbide surface and rollers. The acting form of the rollers is circular movement,unlike the four guides moving in straight line,so it will not stuck. Speed can reach 30M/min if the anti-reversing device is fitted. Generally it is 20M/min.Efficiency has been increased by 50%. Its special structure can increased it' s using life.